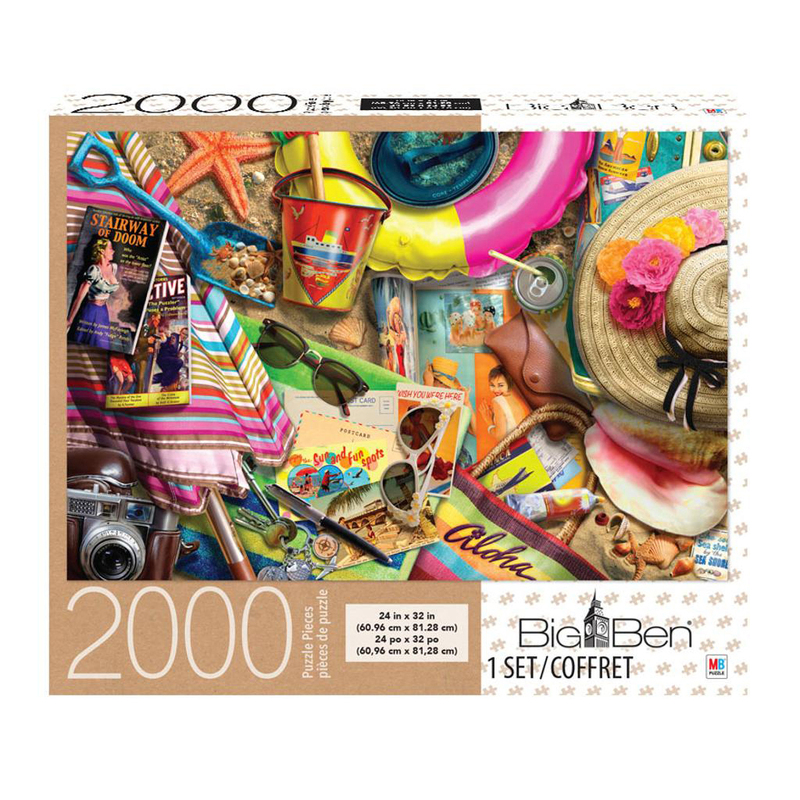 This 2000-piece adult jigsaw puzzle by Big Ben features vintage souvenirs and other vintage vacation staples. 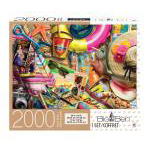 The Big Ben line of jigsaw puzzles feature high-quality cardboard pieces that snap together firmly for a great fit that lasts. Measures 24" x 32" when complete.